An ingrown toenail is a common, often painful condition in which the corner of your toenail grows into your skin. 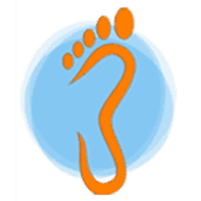 The expert podiatrists at Animas Foot & Ankle in Monticello, Utah, have helped more than 10,000 people with foot conditions, including ingrown toenails. Get effective relief from ingrown toenails so you can get back to living your life without the risk of infection or further complications. Call to schedule an appointment or use the online booking system. An ingrown toenail may occur on its own or as the result of stubbing your toe, wearing tight shoes or cutting a toenail too short. When the edge of your nail grows into the skin alongside the nail, it can lead to swelling, pain, and infection. If you have circulatory problems or diabetes, you may be more prone to having ingrown toenails than men and women who are in overall good health. When your symptoms don’t resolve on their own or with home remedies, such as soaking your foot in warm, soapy water or using an antibiotic cream, you may need to see a doctor. The podiatrists at Animas Foot & Ankle specialize in treating all types of foot conditions, including ingrown toenails. They can provide the treatment you need to relieve your pain and prevent further complications. If swelling, redness, and pain go beyond your toe, you could have an infection. Infections need to be treated right away, so you should contact the office as soon as possible. An infected, untreated ingrown toenail could eventually affect the bone in your toe and cause more serious health issues. If you have trouble healing from small wounds, or you are diabetic and have an ingrown toenail, the skilled podiatrists can treat your condition. Your treatment will depend on the severity of your condition, but in many cases, your doctor will remove part of the affected toenail with a simple procedure. Using a local anesthetic, your podiatrist will remove part of the nail — or in severe cases, all of it — along with some of the surrounding skin, so you can get immediate relief. If your toe is infected, your treatment may include antibiotics as well. If you have recurring ingrown toenails, your podiatrist may recommend removing a portion of the nail bed to prevent your toenail from growing again. Your provider will explain all of your treatment options, so you can make an informed decision regarding how to proceed. If you’re bothered by ingrown toenails, or you’re concerned about an infection from one, book an appointment online or over the phone with Animas Foot & Ankle today.